Gutam Gambhir is optimistic about off-spinner Ravichandran Ashwin's inclusion in the ICC World Cup squad. Gambhir said that Ravichandran Ashwin's experience will come in handy in the high -voltage tournament, which will be held from May 30 in England and Wales. Gambhir, the star of the 2011 World Cup final, had recently announced his retirement from international cricket. 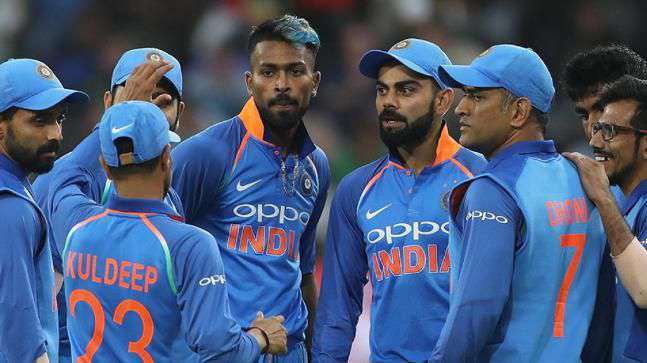 He maintained that given a chance to replace any of the wrist spin duo of chinaman Kuldeep Yadav or leggie Yuzvendra Chahal, he would opt for the Chennai offie in the prestigious tournament. He (Ashwin) can be considered for the World Cup team as he is a premier spinner who has 300 Test wickets to his name. So, for me, if I ever must replace a Kuldeep or Chahal, I will pick up. Ashwin,& Gambhir was quoted as saying by Star Sports after India lost the fourth ODI to hosts New Zealand by 8 wickets. Also, he has a great temperament and has played a major role in winning many tournament. So, that experience will come in handy," the former Delhi skipper added.